I’ve written frequently about objections to the Darwinian theory of evolution. One of the important points to appreciate is that this is not simply a debate between science and religion, especially biblical Creationists, which science should therefore win. There are many scientists who also express doubts. A temple to Darwinism is what I prefer to call it, even though it is meant to be a science museum, and seemingly once was. Here I am going to describe its transformation, and hopefully explain my reasons for calling it that. This should interest anyone following the debate between Darwinian evolutionary theory and theistic alternatives, including Intelligent Design, although they will not be discussed here. I am not saying that this science museum began under the influence of Christianity, but I do think that it was a genuine science museum, i.e. open-minded and objective, showing exhibits, not promoting one particular line of thought. In what follows, I’ll relate some of the moments which were significant in its transformation into a Temple of Darwinism. “Have you ever wondered why there are so many different kinds of living things? 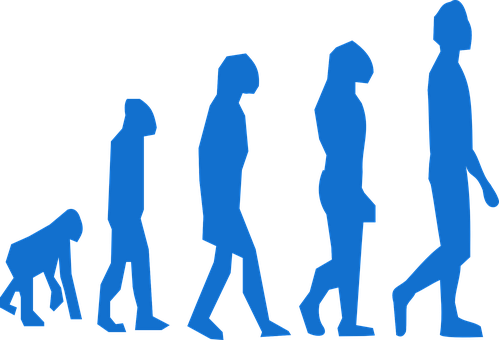 One idea is that all the living things we see today have EVOLVED from a distant ancestor by a process of gradual change. How could evolution have occurred? How could one species change into another? 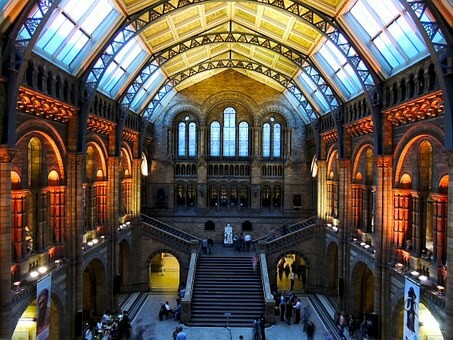 The exhibition in this hall looks at one possible explanation — the explanation first thought of by Charles Darwin”. 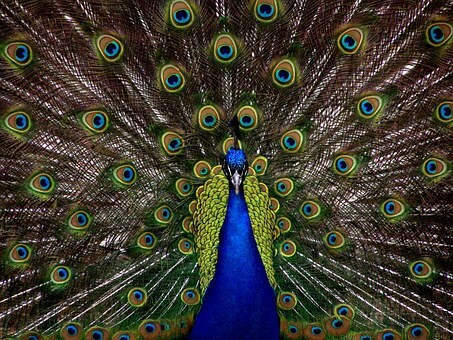 Later in the exhibition a poster said: “Another view is that God created all living things perfect and unchanging”. “Last year I had a sudden realization. For over twenty years I had thought that I was working on evolution in some way. One morning I woke up, and something had happened in the night, and it struck me that I had been working on this stuff for twenty years, and there was not one thing I knew about it. That was quite a shock, to learn that one can be so misled for so long”. “I woke up and I realized that all my life I had been duped into taking evolutionism as revealed truth in some way”. I’m not aware to what extent, if any, Patterson was involved in the preparations for the 1981 exhibition. As he did not retire until 1993, it is reasonable to assume that he was involved in some way. Colin Patterson became involved, presumably following his eureka moment, in a new approach to evolution, specifically to classification, called cladistics. Put simply, this is an attempt to classify living things strictly on the basis of evidence, thus observable biological facts. 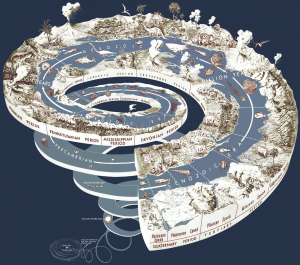 Cladists think that the classification scheme of living things found in textbooks has been established on the assumption that Darwinian theory is correct, whereas facts should take precedence over any theory. We see patterns in the fossil record, but cannot say with certainty how they arose; “we cannot deduce a process from a pattern” (6). The founding father of cladistics was Willi Hennig. One of his most important observations was that many groups are defined by an absence of characteristics, and are therefore not proper groups. An example would be invertebrates; this covers any creature without a backbone, and that is not a distinct group in its own right, rather an amalgamation of groups. Patterson, developing this insight, went on to claim that “all the well-known ancestral groups of evolutionary biology are of this type — they are all defined by an absence of characteristics. And statements claiming to identify such groups as ancestral to other groups are disguised tautologies” (7). For example, to say that vertebrates evolved from invertebrates is another way of saying that the ancestor of the first vertebrate was not a vertebrate, thus a truism. The thinking of the cladists at the Museum was not especially controversial; they were not making any exaggerated claims, merely saying that Darwinism was an unproved theory which might be true — there was circumstantial evidence in favour of it — but could be false. This is surely how true science is meant to be conducted, and the Museum responded appropriately. As Alan Hayward explains: “At the Natural History Museum it was thought that this made sense, and the Museum began to reclassify its collection on cladistic lines. Sometimes the Museum’s new scheme supported the accepted wisdom, and sometimes it conflicted with it”. He then quotes Patterson: “Cladistics calls into question much of conventional evolutionary history”. “Is stability worth more than a century of conflict with evidence?” (8). I suggest that up to this point the Museum was doing science as it should be done — objectively, without preconceptions, open to all possibilities. So what happened next? The Darwinian Establishment reacted furiously. The prestigious scientific journal Nature published an editorial entitled ‘Darwin’s death in South Kensington’ (9). (The editor at the time was John Maddox. He will be the subject of a later article.) An earlier Museum brochure (which was written by Patterson, according to Tom Bethell) had included the phrase “If the theory of evolution is true…”. This “set off weeks of agitation and a flurry of letters to Nature” (10), which then cited this as evidence of “the rot at the museum”, and went on to say: “The new exhibition policy, the museum’s chief interaction with the outside world, is being developed in some degree of isolation from the museum’s staff of distinguished biologists, most of whom would rather lose their right hands than begin a sentence with the phrase, ‘If the theory of evolution is true…’ ”. This was not controversial, actually quite mild. The cladists were not saying that Darwinian theory was false, merely that at that time the theory seemed to be true, but had not been proved beyond doubt. However, they were strongly refuting Nature‘s insinuation that the scientists did not support the Museum’s official line. This clearly demonstrates, however, that Nature thought that the Museum should be a temple to Darwinism, and were reacting strongly, in true Inquisition fashion, to this heresy. Darwinian theory had become a dogma which, just like any Christian creed, all true believers had to recite and sign up to. This conflict between the Museum and the Darwinian Establishment took place in the 1980s. I’m not sure exactly what transpired in the intervening period, but it is clear now that the Museum lost the battle, and that normal service has been resumed, as my visit in 2009 demonstrated. The heading of the article claims that Darwinism is the “only evidence-based explanation of life”. “The fantastic diversity of life and the molecular composition of life past and present in our collection is clear, concrete, accumulated evidence of evolution”. He then complains that “evolution is still questioned”. “Since its inception in the late 19th century, evolutionary theory has been thoroughly challenged and rigorously tested across a range of scientific disciplines by tens of thousands of scientists around the world. It is considered irrefutable scientific law”. 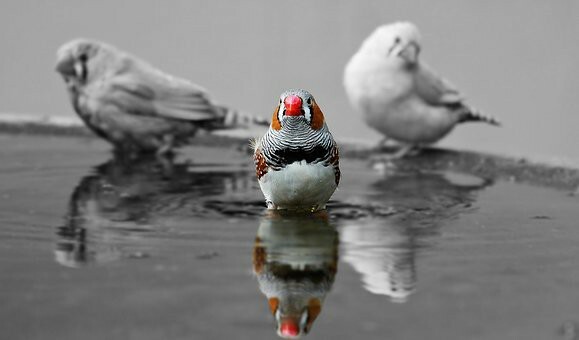 “Darwin’s theory of evolution not only underpins all biological science, it has an immense predictive power. From understanding the emergence of antibiotic-resistant organisms, to the ways in which different species might respond to global warming — emerging as new pests or sustainable sources of food — human health and prosperity will depend on decisions informed by evolutionary evidence”. So human health and prosperity, even the survival of the planet, are at stake! Wouldn’t it be terrible, then, if the theory turned out to be false? Has Darwinian theory passed these tests? Is Dixon a good example of someone putting this into practice, or is he rather dogmatic and blinkered? (His tone is close to that of a Fundamentalist preacher.) Were the cladists not better examples of this? He eventually concludes: “As the top science attraction in the UK, the Natural History Museum will always be a refuge for those who want to discover more about the natural world. We will continue to defend Darwin’s legacy, the theory of evolution — the only evidence-based explanation for the epic, wonderful diversity of life on Earth”. A refuge from what? Presumably from open-minded, unbiased debate. In two previous articles I have listed at length the many reputable scientists, and others, who have rejected Darwinism (12). Is it fair to claim then that it is established science? Even Darwinians themselves sometimes express reservations about the limits of the theory (13). 2009, under Dixon’s directorship, saw the completion of a £78 million project to deliver the second phase of the Museum’s Darwin Centre. 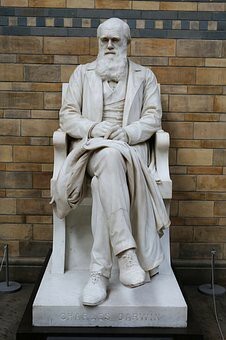 It will also come as no surprise then that in the same year the statue of the founder Richard Owen was replaced by one of Charles Darwin. One can, of course, argue that Owen’s view of the world had been disproved, replaced by Darwinism, and therefore that it is only right that the statues should have been swapped. It still seems odd to me that the statue of the founder of the Museum, which had been there for 128 years, should be replaced. 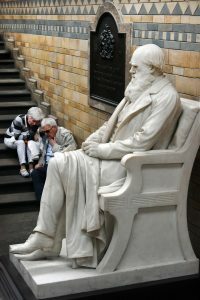 It is also interesting to note that Darwin was buried in Westminster Abbey, a very high honour. The Abbey is the most important building of the Church of England. It is strange, therefore, that the person probably most responsible for attacking, and some would say destroying, the Church’s world-view, should be honoured there. A national museum has a special responsibility because visitors will assume that it is authoritative, that it has State approval, that the State has endorsed its message. In 2009 people were queuing up in order to be, in my view, indoctrinated at the Museum. In modern times we are told to respect science, which is held up as a model of correct, rational thinking. I do indeed respect any science wherever this is the case. Unfortunately this has sometimes become a naïve, simplistic worship of anything called science, whether or not it has passed the necessary tests. Perhaps the cladists were right. Their attitude certainly was. (4) For details, please see this article. (5) There is some controversy about the talk. Apparently a Creationist recorded it, then transcribed it, making some errors. It was then revised, and I believe that the following quotes accurately represent Patterson’s thinking. (8) Hayward, p20. The Patterson quotes come from New Scientist, ‘Cladistics and Classification’, April 29 1982, p303. (12) They’re rather long, but if interested, please see these articles: Daniel Dennett, and Daniel Dennett Part 2. My starting point is a reference from the book by Foster/Clark/ York, mentioned in the introduction to this series (1). They mention a court case in 1987 about a dispute about the teaching of evolution, Edwards v. Aguillard, during which “a group of scientists, including Nobel laureates, submitted a brief… (which) pointed out that science is devoted to investigating natural phenomena and providing naturalistic explanations. In other words, a commitment to materialism is at the foundation of science” (p12). The authors seem to take some delight in this. It should be blindingly obvious, however, that the only thing that science should be devoted to is the search for truth, not a philosophical worldview. It is easy to understand, from a scientific viewpoint, why materialism is desirable. In order to conduct experiments, scientists have to assume that they are in control of all the variables; how could they proceed if some uncontrollable supernatural or paranormal elements were involved? Science has therefore to assume that these ingredients do not exist. Because this viewpoint is desirable, however, does not mean that it is true. If science is committed to a false worldview, then that is a serious problem for science to consider, not something that should be inflicted upon society. The ludicrous extent to which this train of thought can lead has been provided by Richard Lewontin, a Harvard professor no less: “We take the side of science in spite of the patent absurdity of some of its constructs… in spite of the tolerance of the scientific community for unsubstantiated just-so stories, because we have a prior commitment, a commitment to materialism… Moreover, that materialism is absolute, for we cannot allow a Divine Foot in the door” (2). How can an intelligent person say this and expect others to take him seriously? It is presumably statements like this which led the U. C. Berkeley philosopher John Searle to write: “There is a sense in which materialism is the religion of our time, at least among most of the professional experts in the fields of philosophy, psychology, cognitive science, and other disciplines that study the mind. Like more traditional religions, it is accepted without question and it provides the framework within which other questions can be posed, addressed and answered” (3). We can argue therefore, in the language of Richard Dawkins, that the meme of materialism, which is a thin disguise for atheism, has infected the minds of many modern-day academics. An unpleasant mental illness is trying to take over society and culture. Now, if you are committed in principle to materialist explanations, then it is obvious that this is what you will find, whether or not they are credible. Charles Darwin was a dedicated materialist, as revealed in some of his notebooks. There had been earlier theories of evolution “softened by a reliance of vital forces, organic striving, teleology and the like”. However, “Darwin’s theory was distinguished from all the others by its unremitting materialism”. He was a forerunner of modern neuroscientists and materialists, arguing “that the mind was nothing but a special configuration of matter” (4). And he has been honoured with a statue at the Natural History Museum, where he can indoctrinate young children. What a sad state of affairs! As Tom Bethell points out, “if full-blown materialism is true, then Darwin’s theory of common descent must also be true”. Since complex organisms exist, “atoms and molecules in motion must have somehow whirled themselves into the far more complex structures that we see around us” with all the intermediate stages. Even natural selection is therefore unnecessary. Once this is taken as a given, “the true-believing materialist no longer needs to study evolution in any detail”. Any inconvenient anomalies can therefore be swept under the carpet; “Darwinism becomes little more than a deduction from a philosophy. The science is redundant” (5). 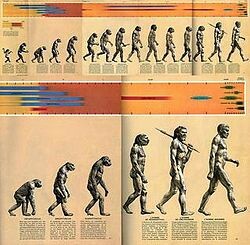 It is obviously for reasons like this that philosopher Mary Midgley wrote a book called Evolution as a Religion (6). Darwinian evolution is one of the cornerstones of the religion of atheism. As Richard Dawkins, with refreshing honesty, has said: “Darwin made it possible to be an intellectually fulfilled atheist” (7). The relevant question, which Dawkins failed to notice, is, why is he so determined to commit himself to a philosophical position which might be a lie? Perhaps it would be a better use of his time to try to understand why he is so desperate to be an atheist. I would recommend a course of psychoanalysis, rather than trying to convert others to his problems. A form of Christian Fundamentalism, with a belief in the literal truth of the Bible, was the dominant worldview in Victorian Britain. A well-known laughable example is the calculation, made by James Ussher, of the age of the Earth, based upon the ages of the patriarchs in the Old Testament, that creation happened on October 23, 4004 BC. Since this is something easily refuted by geology, this was an occasion when science had to win. It is reasonable to claim, therefore, that at that time Darwinism, as part of a developing scientific worldview, was necessary in order to move forward and make progress. It is important, however, not to throw out the baby with the bathwater. We have now reached the point when a new revolution is necessary in order to overthrow Darwinism. The three options in the title are not the only ones available. Creationism and Intelligent Design are usually associated with Christianity. 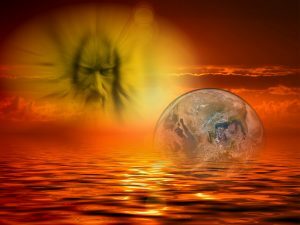 There are also spiritual perspectives from other traditions to consider — Hinduism, Buddhism, Qabalah, and various esoteric systems. Creationism and Intelligent Design are not the same thing (the most obvious evidence is that advocates of ID criticise Creationists). Do not let atheist scientists tell you otherwise. They lump them together, saying that ID is Creationism in disguise. This is because both schools of thought believe in a supernatural intelligence, an idea that materialists want to discredit. 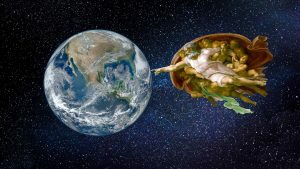 However, Creationism is a theological worldview based upon a literal reading of the Bible, whereas the best quality Intelligent Design arguments are scientifically based, even if their advocates may be Christians or come from other spiritual traditions. They do not speculate about the nature of the designer, which remains an open question. The word evolution is often misused. It should mean merely change over time, perhaps with the implication of progress towards higher, more complex forms. However, it is often used when Darwinian evolution is what is meant. This enables materialist scientists to call those who oppose Darwinism evolution-deniers. Even worse, the outrageous Richard Dawkins has called them history-deniers, trying to insist that Darwinian evolution theory is a historical fact. At the same time he is quite deliberately, disgracefully, and mistakenly, trying to establish a connection in the reader’s mind between critics of Darwinian evolution and holocaust-deniers, the real history-deniers (1). It is quite possible to believe in evolution, while rejecting Darwinism. Thus Stephen Talbott, a biologist I especially admire, is critical of both Darwinian theory and Intelligent Design (2). Regarding Intelligent Design, to state the obvious, it consists of two words. So the emphasis can fall on either. Its advocates stress the design element. That’s fine up to a point, but the problem is that this conjures up a picture of a specific supernatural deity, usually the Christian one, coming up with a plan, in the manner of a human creative artist, or scientific experimenter. Many people, for obvious reasons, find this idea hard to accept. I therefore think that it makes more sense to emphasise the intelligent element, which leaves the understanding of the process much more open. It is even possible to combine the two ideas, an initial idea (design) which grows and develops over time, an ongoing process of creative, intelligent evolution. This does not rule out some limited acceptance of Darwinian ideas as part of the total process, since some spiritually minded scientists , far more qualified than me, have found no reason to doubt it, e.g. Sir Alister Hardy, former Professor of Zoology at Oxford (3). I do find his position difficult to understand, however. Darwinism is atheism thinly disguised as science. That will be the subject of my next post. In advance of that, I’ll just point out that its later manifestation neo-Darwinism stresses the blind process of natural selection, random genetic mutation, and lack of purpose (teleology), in order to support a materialist, therefore atheistic, explanation for the universe. I have written in the past about the many scientists and philosophers critical of Darwinism. If interested, please click here and here.